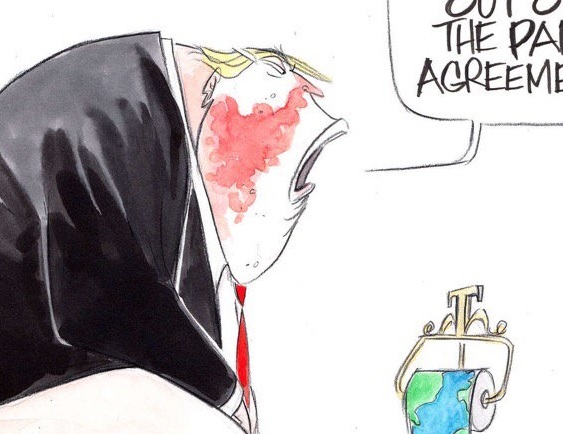 The Washington Post published a cartoon by Ann Telnaes that depicted President Trump defecating into a toilet after his announcement Thursday that the US would exit the sham Paris climate agreement. Telnaes has Trump on the toilet and the Earth as his paper. After he dropped the nonsensical agreement.